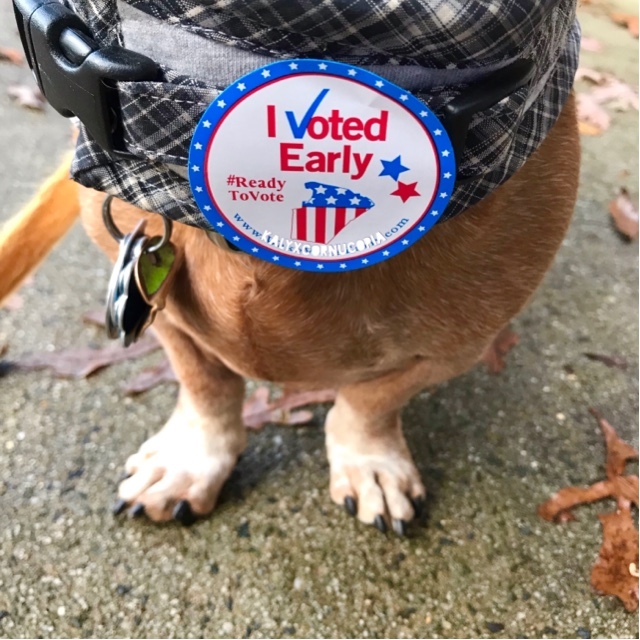 hee hee, yeah, hey thanks for voting, mister, come back next year....thanks for voting, other mister, hope it was swirly...o yeah, i see u earned a sticker, too. thanks for voting..hey lady, come back next year. o and miss, thanks for voting...what’s that? this? no, this is for next year’s election. u see..
wait, what’s that? o sorry, i did not mean to keep u - thanks for voting and do come back next year. in fact, come sooner because we can always use more votes, no matter what shape they are. yeah, okay bye bye. mom, i do not see any gas masks. 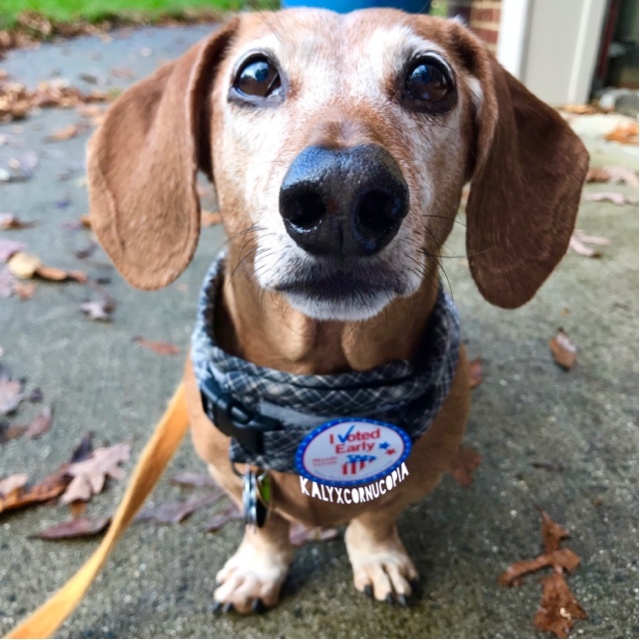 r u sure everyone gets a voting sticker for being a good boy or girl and pooping outside today? 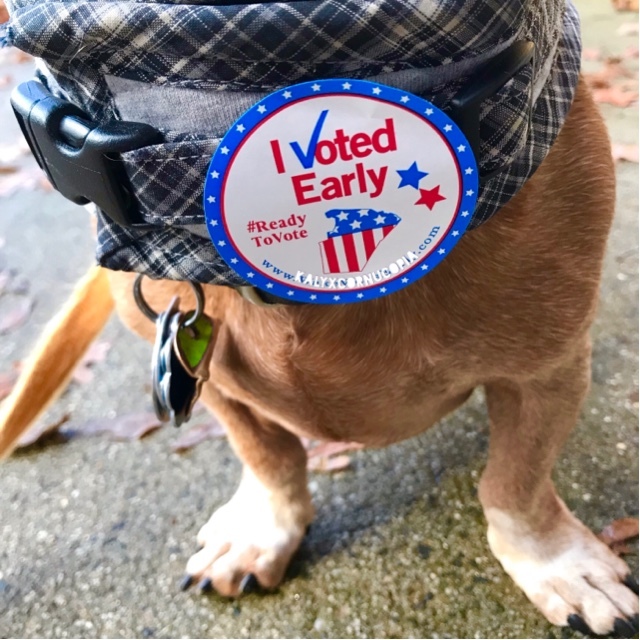 Oh no - I knew I forgot to do SOMEthing yesterday :( No, not voting - I did that early - but I forgot to poop outside! Vote for Baxter for Stinker of the House!